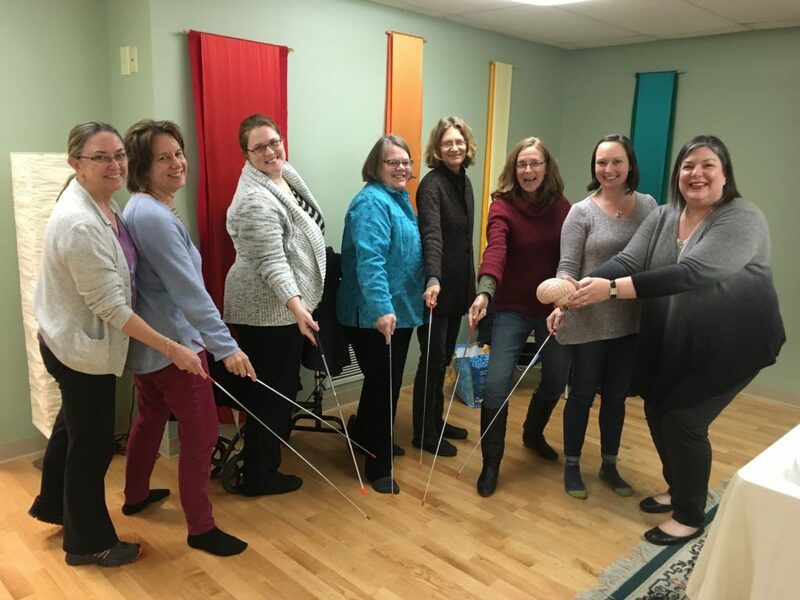 I am so happy to share this resource with you. I was introduced to this book through the closed Brainspotting with Veterans Facebook page. This book is a true gem. It is short, clear, straightforward. And although it is written by a veteran for veterans, it is adaptable and applicable to most humans with PTSD, trauma, triggers, addiction, performance blocks – it is such a great tool. And it’s only $0.99! Here is a video in both English and Spanish of David Grand, PhD, at the first International Brainspotting Conference in Brazil. He explains Brainspotting hypothesis and how it works in clear and accessible terms. 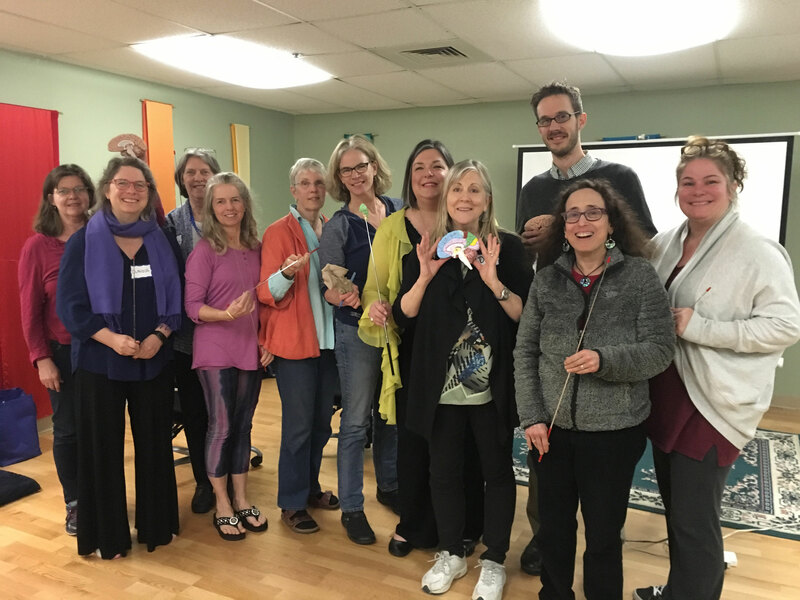 I recently had the amazing opportunity to spend 3 days of learning and training with David Grand, Ph.D., and 14 local therapists, courtesy of the Resiliency Center of Newtown. 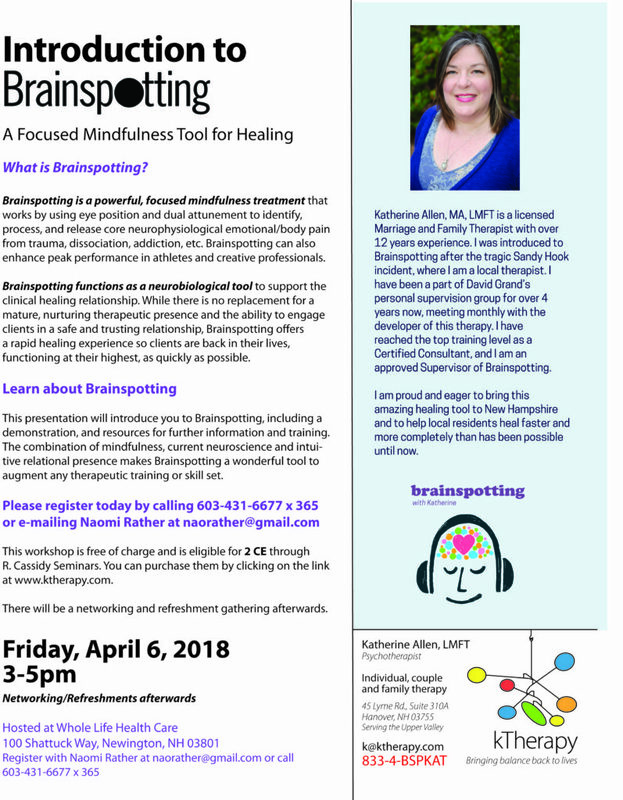 They invited the local area therapists who have been working with the tragedy of 12/14 to further hone and deepen our trauma healing skills in Brainspotting™. One of the most important take aways from those 3 days was the basic education of how anyone’s brain reacts to and handles trauma. First of all, we all have experienced and will experience trauma in our lives, there is no escaping it. 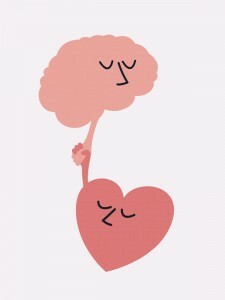 Rather than fearing it and suppressing it, though, I would like to share this educational bit to help everyone see how the brain works and can be served in getting through life’s unexpected events. It is amazing to see how the 12/14 event brought everyone instantly back to the 9/11 event even though they are separated by 11 years. One wouldn’t think that an event so far removed would trigger an older one, but that is in fact exactly how the brain works. When the brain is confronted with a traumatic event (and this can be anything from a national tragedy to a scheduled surgery to a personal assault to watching the bloody nightly news), it “self-sacrifices” a bit of itself and encapsulates that event, storing it in the back of the brain. It knows that the event is too much (personally) to handle at the moment so it protects you and finds a way for you to get through the immediate steps needed to function. 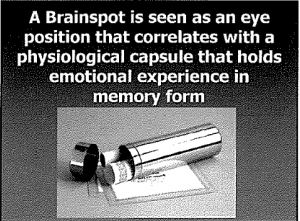 But now there’s this capsule in the brain that is holding this terrible experience. Over time we fear touching that capsule, we go to great lengths to avoid it, yet it is still there. Then another trauma occurs and it’s instantly as if the old capsule has been opened and added to the new event, making it seem vastly worse and unmanageable. In my office I call this a “sympathetic explosion,” meaning the new event has dislodged an old event and both are feeling immediate and overwhelming simultaneously. In the above example I have only mentioned the 12/14 and 9/11 events, but what if someone has had multiple traumas in their life, possibly stemming as far back as early childhood? How then might a new event feel based on this capsule-opening premise? One can hopefully see how each and every individual has an utterly personal and unique reaction to a trauma. We learned that even within the community, there are factions of “us” and “them” between folks with different experiences of the tragedy. Rather than comparing and judging someone else’s experience, can’t we come together and recognize that each and every individual has a personal and powerful reaction to such a huge and horrific event. There is no one experience that is more or less than any other seeing as we are all carrying our own unopened capsules of prior life events. As a community, we must become better at understanding this phenomenon and find ways to increase the compassion for one another rather than make it a competition. 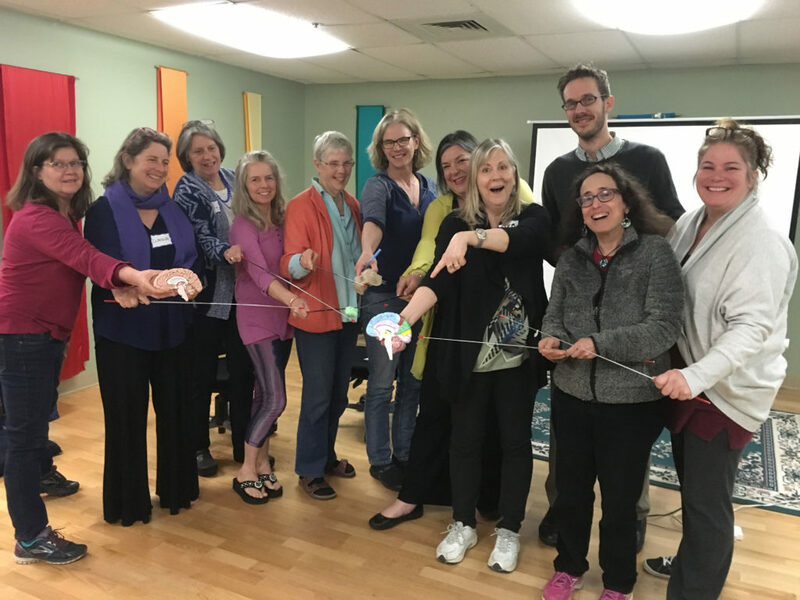 As a Brainspotting therapist, I have a passion and a commitment to providing a safe and nurturing space for my clients to safely and planfully open and process old capsules so when a new trauma comes along, it can be a solo event and not one consisting of many capsules being jostled.